Coulson and May hold hands as they enjoy the real Tahiti in the closing moments of Agents of S.H.I.E.L.D. Season 5 Episode 22, "The End." 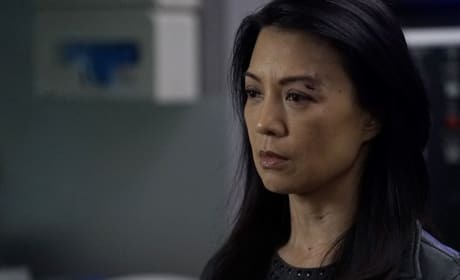 Daisy, having used the centipede serum to enhance her powers, forcibly rejects an insane Talbot's attempt to absorb her in Agents of S.H.I.E.L.D. Season 5 Episode 22, "The End." Life or Death - Agents of S.H.I.E.L.D. 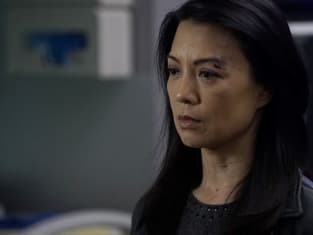 Coulson's life hangs in the balance on Marvel's Agents of S.H.I.E.L.D. "The End" is the 22nd episode of the show's fifth season. Yo-Yo: You won’t listen! I am in a nightmare, and I’m screaming at the top of my lungs and not one of you can hear me! Yo-Yo: But you won’t *listen*! You all saw what happened, and none of you will help me stop this! [turns to Mack] I’m alone. Even you, even you won’t help me. Mack: No. You’re not alone. We’re in this with you, but you need to hold it together. Yo-Yo: There’s nothing holding us together! Mack: Yes, there is! HOPE! We never give up. We’re always held together by hope! So we cling to it, and we vote. We vote. He would never give up on Talbot! And he would never see him as a maniac! He would see him as a man, a broken *man*! Coulson’s the only one who could talk him through this, that’s what he does!